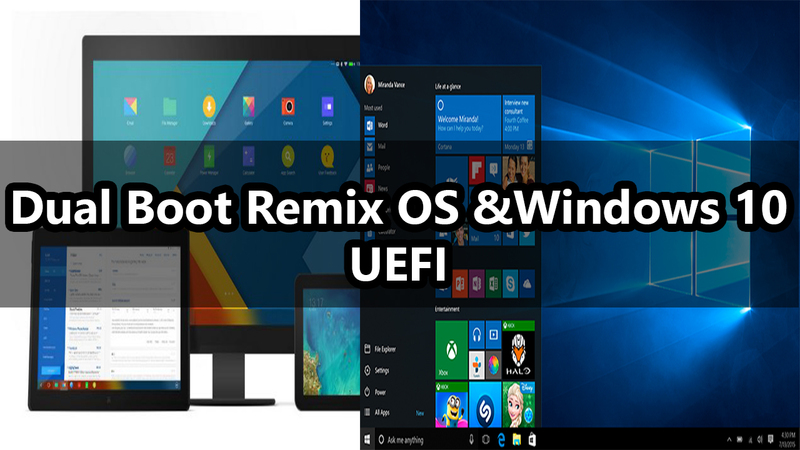 In a previous article, I did show our readers how to install Remix Os in a USB flash drive or an external hard drive ( you can check it here ). In this article ,I am going to show you how to Dual Boot Remix Os with Windows 10 or 8 if you are on UEFI firmware and maybe I will do another tutorial for legacy mode soon. Dual Boot means that we will install Remix OS on the internal hard drive along side with Windows 10 so we can access to both of them whenever we want. error: no such device: /system.sfs. bro could you please explain more because I didn't understand the problem. Before that is your system work with UEFI or legacy ?